In WordPress, navigate to Plugins > Add New. Search for “Social Share Buttons” and click install. When the installation has completed click “Activate Plugin”. You will have a new admin menu item titled “Social Share by Supsystic”. In your personal account on the staging-supsystic.kinsta.cloud, you will find a unique download link after purchase. After downloading the file (social-share-pro.zip), navigate to Plugins > Add New > Upload and upload the file. When the installation has completed, click “Activate Plugin”. 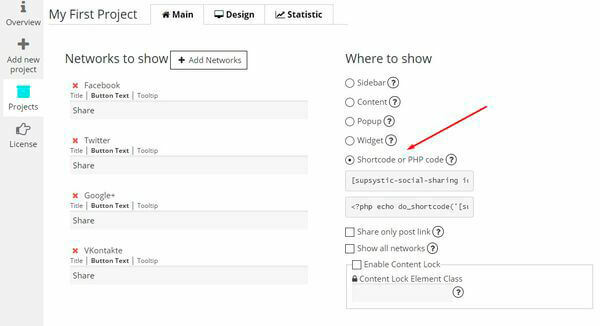 Go to the Social Share by Supsystic in WordPress navigation menu. On the left navigation menu click Add new project. Enter the title of project, choose template and click Create. Tick social networks you would like to be shared to or Select all and click Create. 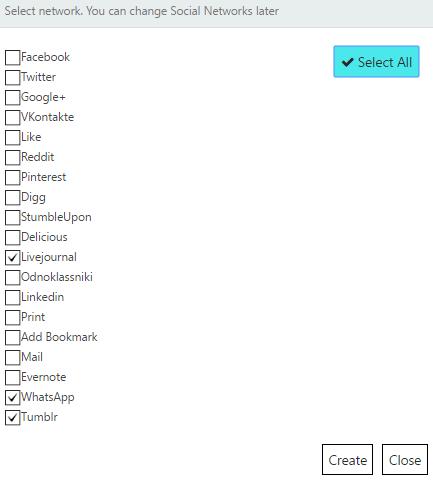 New page opened and here you can set all the options of Social media sharing plugin. Simply navigate the corresponding tab of properties – Main, Design and Statistics. 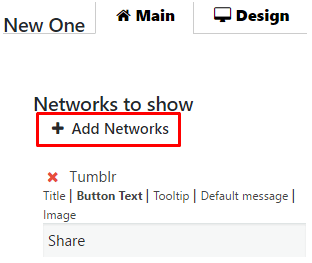 Choose networks, with which you want to create easy social share buttons, delete or Select all of them. You can select any numbers of social networks. Save changes or Close this window without them. After this you will be able to add Title, Button Text, Tooltip, Image, Default Message of the button or make a quick deletion by red “X” button. Check this page to view more information about all Displaying Options of Social Share plugin. Besides on the Design tab you can see the Preview of all this options and effects. To view more detailed information about all Design tab abilities click on this link. Important! After changing the settings of plugin don’t forget to click “Save” button. Statistics Settings Tab allows you to gather statistics of your content being shared by different social networks. This is a key to make your site more popular – gather, analyze and make conclusions about popularity of your site content. Read this article to check all information about Social Share Statistic tab. Check all Social Share Documentation.